In the minutes and hours after the earthquake ravaged Haiti on January 12, 2010, it was nearly impossible to make sense of things. It was impossible to grasp the scope of the devastation, the depth of the grief felt by a nation and by the world. The need for help was obvious; in newspapers, on the internet and on television, our minds were filled with the staggering stories of those lost and those left to mourn, heal and rebuild. 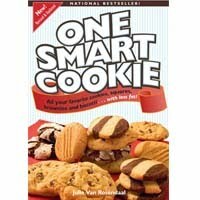 It seems it was only moments later that Julie Van Rosendaal reached out with the simple question, "can you help?" She had already jumped into action, registering the site BlogAid.org and coming up with an inspired idea. Just like those collaborative cookbooks so many communities create to raise funds, we'd do the same - but on a much, much larger scale. Within hours, Julie had gathered together a group of 27 international food bloggers, all eager to contribute recipes and photographs to this labour of love. And hope. Julie then secured the help of an artist for the cover image, a designer for the layout. Two printing companies. 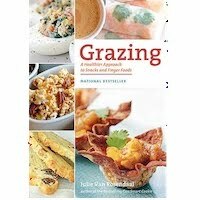 Three weeks later, they were done their work and we had a 110-page, full-colour cookbook. 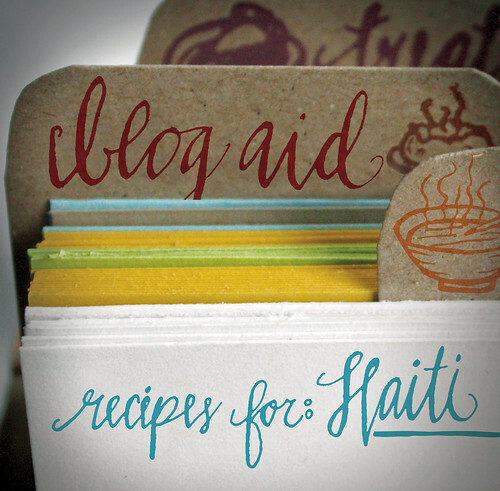 And now, if you'd like, you can buy a copy of your very own, with monies raised to go towards the Haitian relief effort through the Red Cross and Doctor's Without Borders. Amazing, right? I've not even gotten to the super amazing part. Julie's work was pretty amazing already but this, wait until you hear this - you know those two printing companies? Well, West Canadian Graphics in Calgary and Blurb in San Francisco made generous donations of not only their time and resources, but also matching a percentage of book sales. To top that off, the Government of Canada will match our total amount raised, up until February 12, 2010. It is an opportunity to make each and every dollar count. To order, go here. 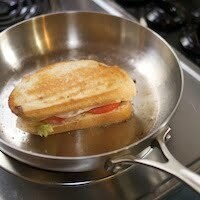 I'm without a recipe today, but I'll back after the weekend with something to say thanks for listening. 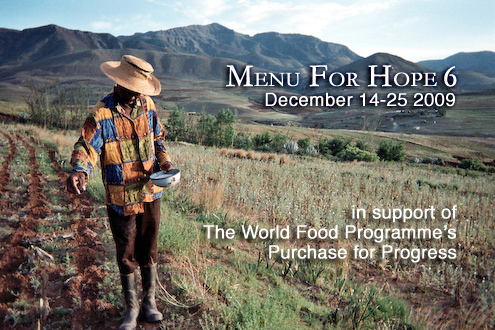 I am proud to say that I am the Canadian host for this year's Menu for Hope, the annual campaign to raise funds in benefit of the United Nations World Food Programme and its Purchase for Progress initiative. It's a simple idea with extraordinary results; from December 14-25, we will be holding a worldwide raffle full of amazing, wonderful, one-of-a-kind prizes related to food, travel and wine. Each $10 donated will count as a bid towards the prize of the donators choosing. The more you give, the move chances there is to win, with the proceedings going straight to the United Nations. Easy peasy. But I'm getting ahead of myself. First, we need those prizes. If you are a food blogger, a producer, an artisan with a food related work, a publisher or restauranteur, we are looking for your help. Please consider donating a prize to be put up for raffle, one that you believe would garner at least twenty bids at $10 each. We are relying on your help in making this year's campaign a success. If you’d like to participate, please send your prize information (plus two images 75×75 thumbnail and 200×200px) to your local host so that they can give you a prize code (important!) and more instructions on what to do for the Menu for Hope launch. Tara of Seven Spoons (tara[at]sevenspoons[dot]net) - that's me! For those unable to donate a prize, we still could use your help. Please consider passing on this information to anyone you might think interested, or spreading the word on our own site. Of course, you can also bid for prizes, so check back on December 10 for further details! Help us help the World Food Programme end world hunger. Note: Please check back often for further information on prizes, bidding and the campaign's progress. I'll also be elsewhere with updates. My goodness, it has been five times already. Five times Pim has rallied the food blogging community together, the first time in aid of those effected by the catastrophic tsunami that hit Southeast Asia on Boxing Day 2004. In each of those five times her campaign, Menu for Hope, has grown exponentially - last year we managed to raise over $90,000 for the United Nations World Food Programme. An astounding number of dollars offered in help, to be sure, as well as an astounding testament to the generosity of our online community and the impact we are able to make when we work together. This year, I am once again proud to be involved through a prize donation. What's this about prizes you might ask? 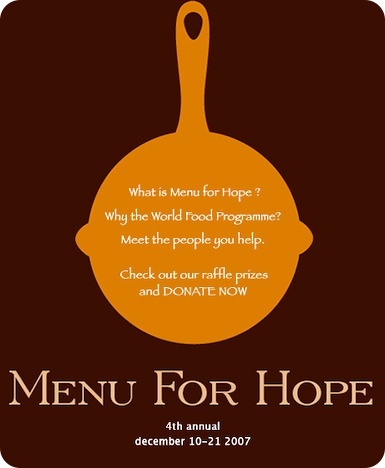 Well, this is how Menu for Hope works - food bloggers, food producers, publishing companies and many more organizations donate prizes to be put up for raffle. Raffle tickets are then sold, at the low, low price of $10 each, for each of those prizes. These virtual tickets are then compiled, and at the end of the campaign a winner is chosen at random, with the results announced at Chez Pim. Easy peasy, no? 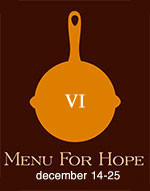 Further details on Menu for Hope, and answers to frequently asked questions are available on Pim's site. I know that this past year has been a difficult one for many, and our global economic crisis has many of us feeling unsure about the future. If you are unable to participate in this year's campaign, it is wholly understandable and I only ask that you might pass the word onto anyone and everyone you believe might be interested. For those of you that feel that they can spare the money to donate, I thank you. Now, I said something about prizes - must get back to that. In partnership with the fine folks at Whitecap Books, I am happy to be donating two bundles of cookbooks, all from Canadian authors (see below for summaries and cover images). 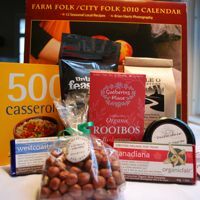 The first, prize code CA06, is a wonderful set of two cookbooks in celebration of all that Canada has to offer. Taste of Canada by Rose Murray is an epicurean love letter to the country, with thoughtfully-chosen recipes that reflect the scope of our cuisine. It is a beautiful book, with elegant and evocative images and an obvious affection for its subject matter. 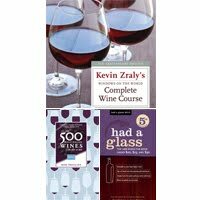 The second book is great guide to treasures from your local wine shop, The 500 Best-Value Wines in the LCBO 2009 by Rod Phillips. CA07 is a collection of books from authors who have all participated in the "Seven Questions With..." series from this site, and have all reached some level of celebrity in the Canadian culinary scene. 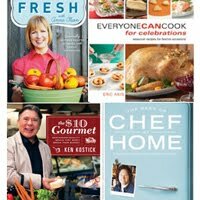 Anna Olson of Canada's Food Network has brought together a fantastic collection of recipes for the home cook, full of family favourites with a modern twist; truth be told, it is a book I have kept in my kitchen since I got it. Dominique and Cindy Duby, true masters of pastry and sugar, let us in on their recipe for the perfect crème brûlée (along with 50 sweet and savoury variations) in their book of the same name. In Marty's World Famous Cookbook, Marty Curtis reveals the secrets of his famous buttertarts, and many of the favourites from his popular cottage country café. 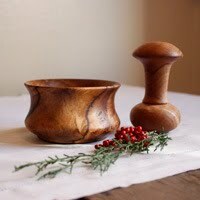 A full list of prizes being donated by Canadian food bloggers is available at our regional host site Hooked on Heat. My thanks to the wonderful Meena for all her hard work. 3. Each $10 you donate will give you one raffle ticket toward a prize of your choice. Please specify which prize you'd like in the 'Personal Message' section in the donation form when confirming your donation. You must write-in how many tickets per prize, and please use the prize code. 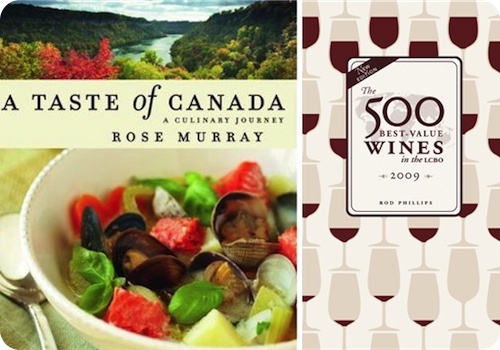 Courtesy of Whitecap Books and seven spoons, a two (2) cookbook bundle highlighting the best that Canada has to offer: The 500 Best-Value Wines in the LCBO 2009 ($19.95 CAD) by Rod Phillips and A Taste of Canada: A Culinary Journey ($34.95 CAD) by Rose Murray. Courtesy of Whitecap Books and seven spoons, a three (3) cookbook prize bundle with the latest books from famous Canadian authors; In the Kitchen with Anna ($29.95 CAD) by Food Network Canada's Anna Olson , Marty's World Famous Cookbook ($29.95 CAD) by Marty Curtis of the popular Bracebridge, Ontario café that bears his name, and Crème Brûlée ($19.95 CAD) by Dominique and Cindy Duby, acclaimed pâtisiers and chocolatiers. Permission to print cover images also courtesy of Whitecap Books. 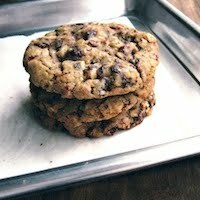 As foodies/food bloggers/food lovers, we frequently talk about the soul-satisfying moments and memories we associate with meals. And it is at this time of year that we put aside those thoughts to instead turn our attention to feeding the body and the souls of those less fortunate. 2. Go to the donation page at First Giving to make a contribution. 3. Please specify which prize you'd like in the 'Personal Message' section in the donation form when confirming your donation. You must write-in how many tickets per prize, and please use the prize code. 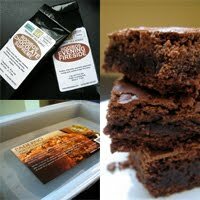 Each US$10 donation will give you one raffle ticket toward a prize of your choice. E.G: A US$50 donation may be two tickets for UW99 and three tickets for CA02.*. * N.B: Canadian tax laws prohibit charitable donation receipts to be issued by registered Canadian charities for raffle or lottery tickets. The UNWFP is a U.S.-based charity; should any donation receipts issued, you will need to seek professional advice regarding applying them to your Canadian income tax return. Buy now, buy later, buy often. 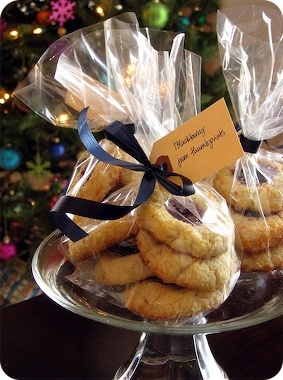 Give the sentiment of the season, give joy, give health. Give. More details, and entreaties, tomorrow!